SimiSodaPop | A Refreshment Of Bubbly Gossip! 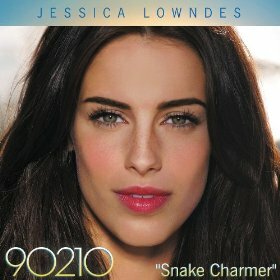 | Beauty, Fashion, Food and Entertainment: Jessica Lowndes Releases A Sneak Peek At Upcoming Track "SNAKE CHARMER"
Jessica Lowndes Releases A Sneak Peek At Upcoming Track "SNAKE CHARMER"
90210'S Jessica Lowndes Releases A Sneak Peek At Upcoming Track "SNAKE CHARMER". You can check out the little preview of her upcoming track which will fully be released on October 30th. Also keep a note that 90210's Season 5 Premiere is on October. 8th at 8.7c.